"Believer", which was released on the 22nd of May is coming out with an extended version. "Believer" is about the battle of catching a ghost drug organization that has control over Asia. The cast members include Cho Jin-woong, Ryu Jun-yeol, and Kim Joo-hyuk. 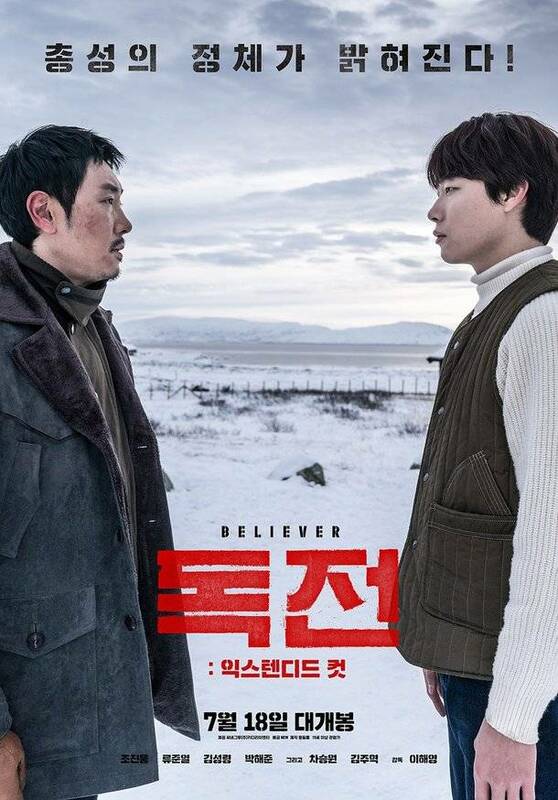 The extended version of "Believer" comes out on the 18th with special prices in CGV, Lotte Cinema and Megabox. ""Believer" Extended Cut to Be Released on the 19th "